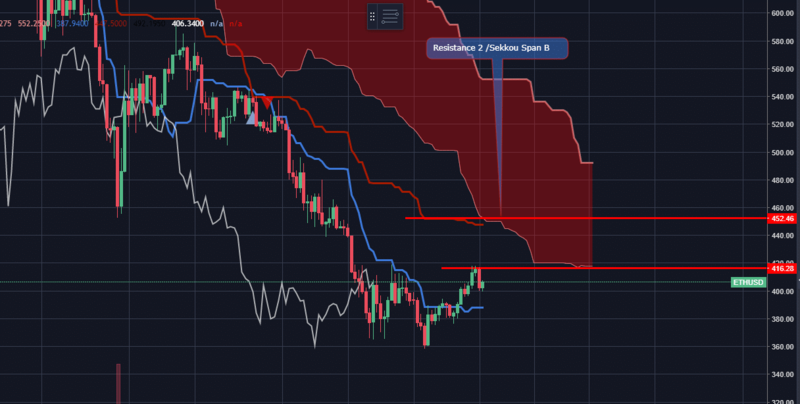 First of all, if you haven’t already, go over to the post on setting up the ichimoku cloud for tradingview. The image below might look complicated. But don’t get disheartened. 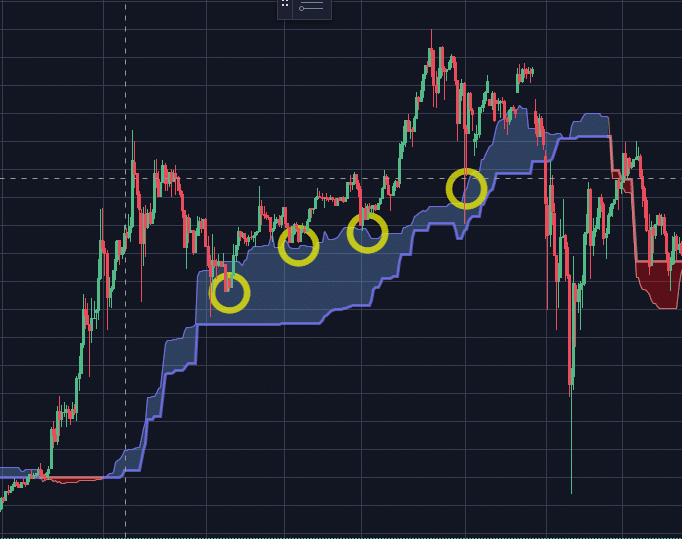 The ichimoku cloud isn’t as complicated as it looks. Whatever timeframe you are usingt the TS will calculate( the high + low) of the last 20 candles divided by 2. The cloud is calculated with SA and SB. When SA is above SB then the cloud is blue and bullish. 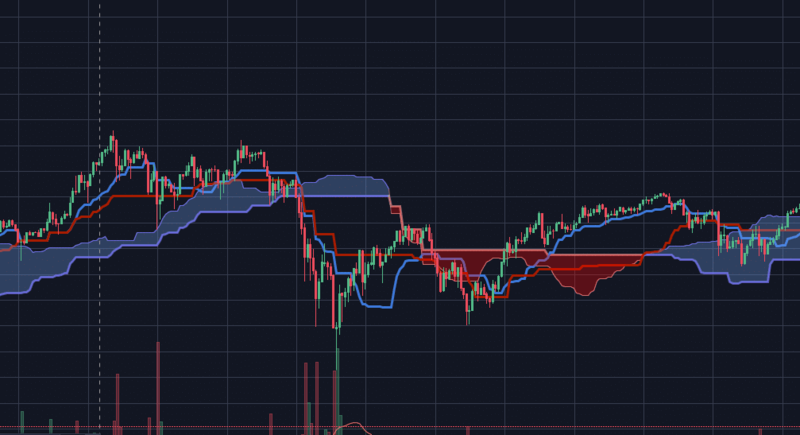 When SB is above SA the the cloud is red and bearish. 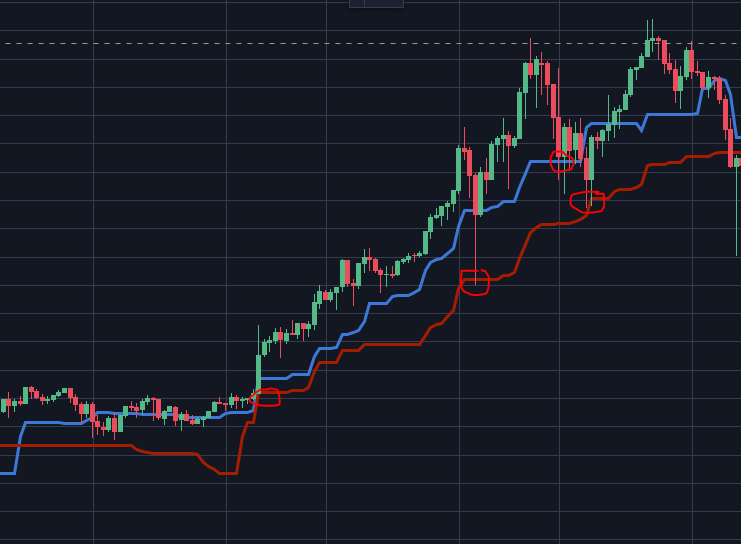 When the price goes down through SA or SB it is known as the cloud break. Investing tip: When you want to add to your position you can stack your buy orders along the SA line if you missed your early entry. so you go back to the 4 hour. Set your line a bit under the sekou span b and you have your exit. taking the average of the highest high plus the lowest low of the last 20 periods. 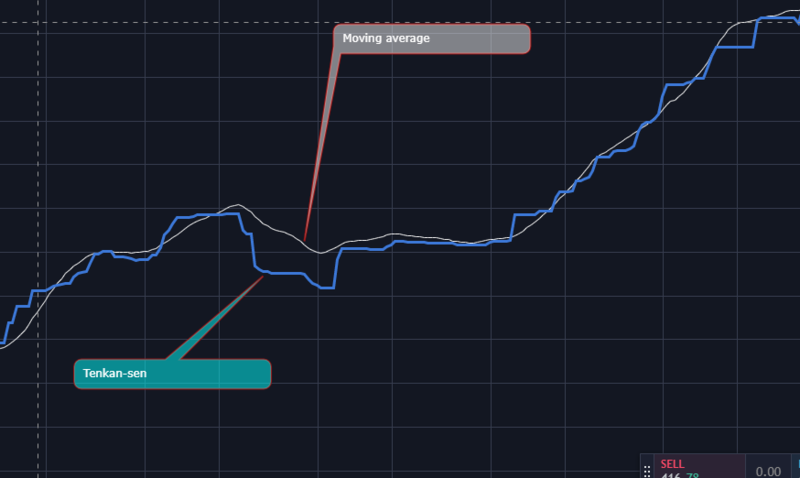 So how is this different from other moving averages? Basically it is the same thing as the TS but a longer time period. What it does is it makes it a bit more reliable of an indicator to show if there is a reversal. The equilibrium is found when TS and KS come together. With the cloud back on you can see the price comes into the cloud. This is a big support and resistance area. A TK cross happens when TS and KS cross. However, not all crosses are the same. 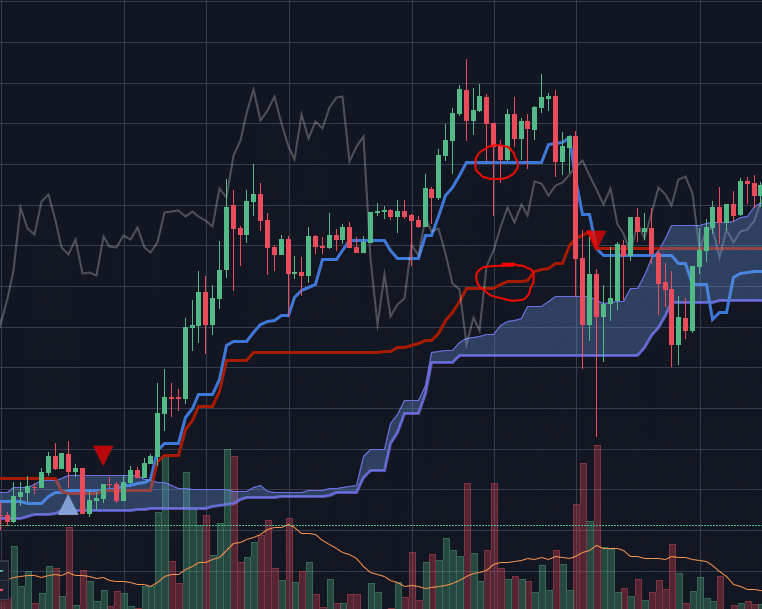 Rule of thumb is to only look for crosses above the cloud for entries and under the cloud for short positions. Otherwise you might get into trouble with fake breakouts and be stuck in sideways trading. Often forgotten but very useful. TK cross is under the cloud. We will be not entering a long position. On the 30 minute chart we have the following signals. We still do not have all the signals we need if we want to enter into a long term position. There is a clear resistance at 416$/eth. 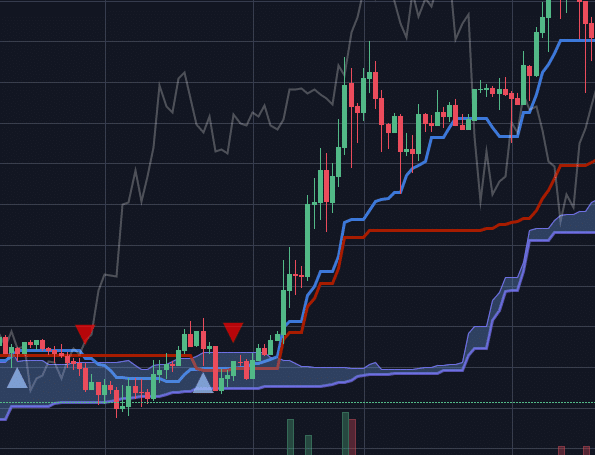 Cloud twist – bullish reversal. This is a very good sign. The reason we do not want to go in a trade now, is because we could have a lot of sideways action. We do not want to be stuck in a trade. We do not trade in the cloud for a longterm position. However, you could go in a short term position and trade edge to edge. For example If the candles break through the 416$/eth resistance line. 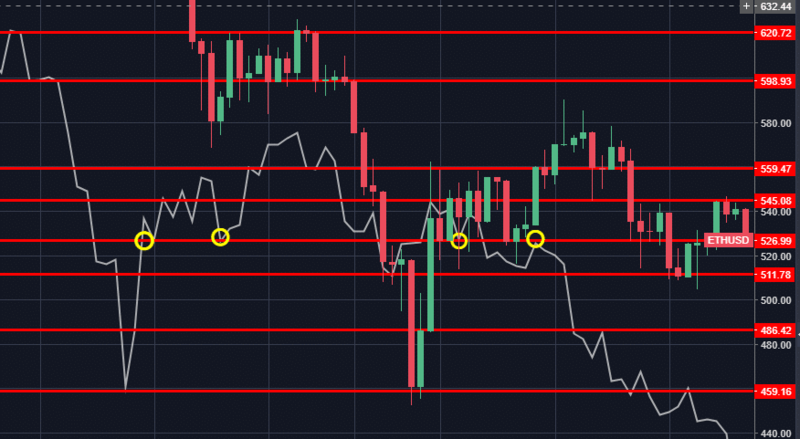 You can go long and scale your sell orders a bit under and above the 452$/eth resistance. 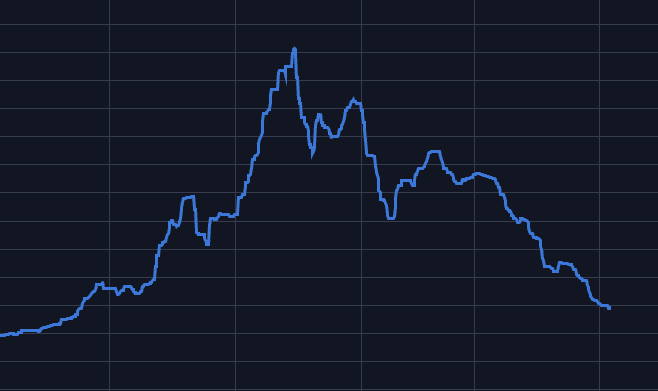 When we look at the 4hour chart we have zero confirmations at the moment. But it is getting exciting. This is what I suggest if you are thinking about buying long term. Wait for bullish confirmations on the 4hour chart. You can start adding to your position the more bullish confirmations you get. Below I am creating an alert to notify me when there is a bullish TK cross. Congratulations if you made it all the way down here. Comment, share if you like this introduction to the ichimoku cloud. very web savvy so I’m not 100% positive. Any suggestions or advice would be greatly appreciated. Thanks for the guide. Do you have a follow-up for intermediate level? Like cloud bounces or tk bounces etc. Thanks! 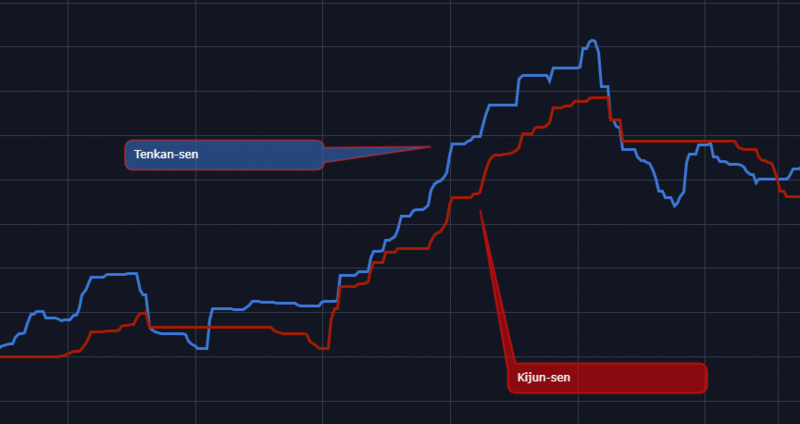 Remarkable intro to Ichimoku within crypto, mate.